Hematuria is often an incidental finding on urinalysis, and evaluation depends on whether it is gross or microscopic and whether it occurs in adults, children, or adolescents. Most patients with hematuria do not have significant pathology, but this depends on the type of hematuria and underlying risk factors. One prospective study found that 61% of patients with hematuria had no finding after evaluation (Khadra et al., 2000). Gross hematuria is blood in the urine visible to the patient or physician. Microscopic hematuria is the more common entity. Various cutoff points exist; for adults, the American Urological Association (AUA) Best Practice Policy has defined microscopic hematuria as 3 or more (RBCs/hpf (Grossfeld et al., 2001a). In children, clear consensus is lacking, although more than 5 RBCs/hpf found in at least two weekly urine samples is considered abnormal (Dodge et al., 1976; Vehaskari et al., 1979). The reasons for the different definitions may reflect a lower evaluation threshold in adults because of the larger spectrum of potential causes. Dipstick urinalysis alone is insufficient for diagnosing hematuria, because certain substances (e.g., myoglobin) and test characteristics (e.g., specificity) can cause false-positive results. Thus, microscopic analysis is necessary and inherent in the definition. Gross hematuria is a common presenting symptom for patients with bladder or renal cancer (Yun et al., 2004). The sensitivity of gross hematuria for bladder cancer is 83%, and the positive predictive value (PPV) is 22% (Buntinx and Wauters, 1997). However, the studies generating these values were of low quality and based on referral populations. No studies are available on the likelihood that family medicine patients with this finding will have serious pathology. Pending this research, the approach to gross hematuria should remain aggressive (Khadra et al., 2000). From Hanno PM. 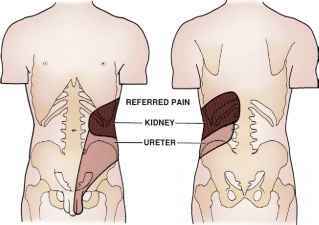 Interstitial cystitis and related disorders. In Walsh PC (ed). Campbell's Urology, 8th ed, vol 2. Philadelphia, Saunders, 2002, p 661.
genitalia and include a pelvic examination in women and a prostate examination in men. Urology consultation is appropriate, except when an obviously benign (e.g., menses) or treatable cause is found. Even when a treatable cause is identified (e.g., renal calculi), close follow-up with repeat urinalysis is needed because gross hematuria is frequently a harbinger of serious urinary tract pathology (Khadra et al., 2000). Asymptomatic hematuria potentially signals serious urinary tract disease, although there are many causes, often benign. Hematuria may occur in 9% to 18% of normal subjects (Grossfeld et al., 2001a). Most studies evaluating and defining this problem were not performed in typical family medicine populations or are of lower quality, or both. No prospective studies demonstrate an improved outcome from routine screening. For the general population, finding asymptomatic microscopic hematuria carries a predictive value of only 0.5% (Brehmer, 2002). Thus, benefit from routine microhematuria screening is unlikely (Kryszczuk et al., 2004). Because routine screening is unhelpful, family physicians encountering microhematuria should consider patient risk characteristics and systematic laboratory testing and imaging (Fig. 40-5). The first step in approaching asymptomatic microscopic hematuria is to verify it is a consistent finding. Patients should have repeat urinalysis, and if two separate follow-up samples are normal, no further evaluation is needed. Transient hematuria is not unusual, and serious urinary tract pathology is unlikely in patients younger than 40 years. Furthermore, history or examination may reveal a benign cause—menses, sexual activity, vigorous exercise, viral illness, or trauma. If repeat examination is normal after these considerations, no further examination is needed. A caveat would be the patient at risk for bladder cancer, because intermittent hematuria can precede this finding, and more extensive follow-up may be warranted (Grossfeld et al., 2001b). Family physicians should be cautious not to misat-tribute certain causes as benign. For example, warfarin (Cou-madin) may cause hematuria if the patient is excessively anticoagulated, but it should not cause hematuria within its goal international normalized ratio (INR) range. Hematuria in this setting is often a sign of urologic disease (Culclasure et al., 1994). If hematuria is consistently found, the next step is to risk-stratify the patient based on history, physical, and baseline laboratory findings. Initial laboratory testing should include urinalysis, urine culture (if indicated), and serum creatinine level. If UTI is present, a repeat examination 6 weeks after treatment is appropriate. High-risk patients are those at increased risk for urologic malignancy—older than 40 years, tobacco history, analgesic abuse, pelvic irradiation, occupational exposures (see Bladder Cancer), prior urologic disease, irritative voiding symptoms, history of UTIs, and cyclophos-phamide use (Grossfeld et al., 2001b). These patients should undergo a more thorough evaluation for the cause of their hematuria, whereas lower-risk patients can have a more limited testing battery (Grossfeld et al., 2001a). Hematuria of renal origin may be associated with microscopic red cell casts or dysmorphic RBCs. Other findings may include protein-uria, elevated serum creatinine, or a physical finding such as hypertension or edema. These patients need evaluation for renal disease, including urine protein quantification. Some patients will have risk factors and findings for both renal and urologic disease or may already have a history of chronic kidney disease (CKD), so simultaneous evaluations for both causes may be necessary. Patients whose initial evaluation does not suggest primary renal disease should undergo urologic evaluation based on their risk category. This includes upper urinary tract imaging, urine cytology, and cystoscopy. There are no prospective outcome data on the impact of imaging on asymptomatic microscopic hematuria. Thus, patient-oriented recommendations are unavailable, and family physicians should consider the advantages and disadvantages of the different techniques (see earlier Imaging Studies) when deciding on the appropriate method. IVU is widely available and less costly, and has a low chance of missing pathology when appropriate follow-up studies are used. CT is a good choice for a broad range of urinary tract disorders. Non-contrast-enhanced scans can be performed initially. If these show calculi in a low-risk patient, no further imaging is needed. Contrast studies can follow in all other cases (Grossfeld et al., 2001b). CT is the modality of choice when other techniques fail to reveal a cause (Lang et al., 2002). Deciding between IVU and CT is challenging because the lower cost of IVU may be offset by the eventual need for CT (McDonald et al., 2006). Radiation exposure must be considered as well. Kidney, ureter, and bladder (KUB) studies with ultrasound or MRI are alternatives for patients unable to receive radiographic contrast. However, in the case of CKD patients, the risk of nephro-genic systemic sclerosis from gadolinium contrast may also limit use of MRI. Cystoscopy is necessary to rule out bladder cancer confidently because no imaging study is adequate for evaluation. Urine cytology is often performed with cystoscopy and has a sensitivity of 40% to 76% for bladder cancer. A positive finding is diagnostic, but a negative finding does not rule out disease. Thus, in high-risk patients, cytology is used adjunc-tively and in follow-up. Cystoscopy is optional in low-risk patients because it is unlikely to yield a definitive finding. These patients should undergo urine cytology. Furthermore, if they develop any high-risk characteristics, they should undergo cystoscopy (Grossfeld et al., 2001b). Urine tumor markers are available but not yet validated for routine use (Cohen and Brown, 2003). 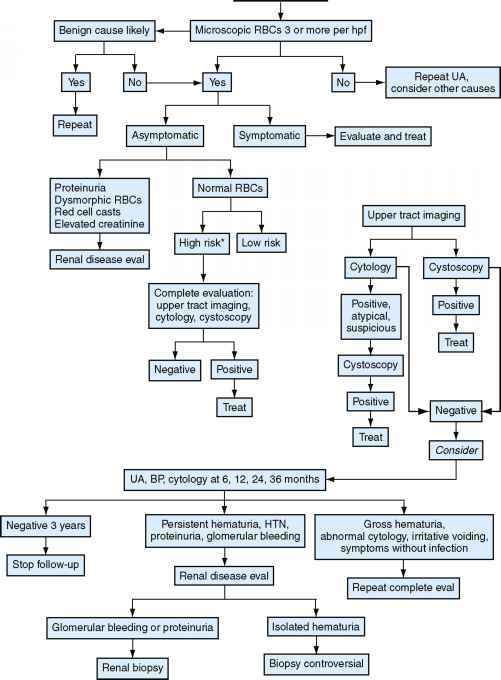 Figure 40-5 Evaluation and follow-up of asymptomatic microscopic hematuria. 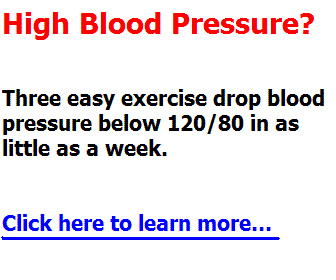 BP, Blood pressure; HTN, hypertension; RBCs, red blood cells; UA, urinalysis. on follow-up. For example, a patient with a symptomatic kidney stone may have microhematuria. Although this provides the most likely explanation for the bleeding, if the patient has a background risk for malignancy (e.g., smoking) or renal disease, repeat urinalysis is needed to ensure resolution. Hematuria is a relatively common finding in children, with an estimated prevalence of 0.5% to 2% of asymptomatic school-age children (Dodge et al., 1976). Those with hema-turia and proteinuria, particularly when associated with hypertension, edema, or urinary casts, need aggressive evaluation for underlying glomerular disease or uropathy. The vast majority of children with hematuria, however, present with isolated hematuria. This is typically detected on a random urine sample obtained in the context of a routine physical examination but may also present as asymptomatic gross hematuria. In children, the term isolated refers to the complete absence of symptoms, significant past medical or family history, physical examination findings, or other abnormalities on urinalysis. This distinction often separates those children with benign processes from those with underlying pathology. 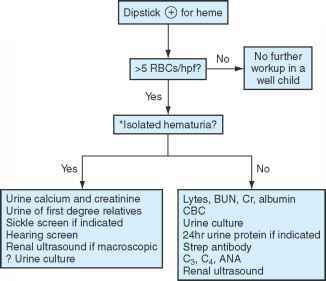 Figure 40-6 Approach to the child with hematuria. ANA, Antinuclear antibody; BUN, blood urea nitrogen; CBC, complete blood cell count; Cr, creatinine; RBCs/hpf, red blood cells per high-power field. Once the diagnosis of hematuria has been confirmed and a complete history obtained and physical examination performed, a staged evaluation should ensue (Fig. 40-6). Significant underlying renal or urologic disease is highly unlikely in children with isolated microscopic hematuria (Bergstein et al., 2005). A more thorough evaluation is indicated for asymptomatic macroscopic hematuria. The most common glomerular diseases associated with isolated hematuria are subclinical postinfectious glomerulo-nephritis, IgA nephropathy, and Alport's syndrome. 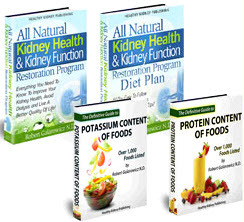 In the absence of proteinuria or more advanced disease, there is no treatment given for these conditions. 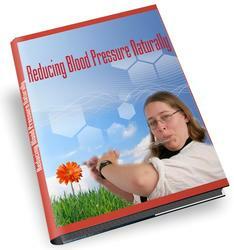 Yearly follow-up with blood pressure and urinalysis is indicated for all forms of persistent hematuria. Hypercalciuria may or may not be associated with pain. The exact mechanism by which hypercalciuria causes hema-turia is unproven but probably secondary to crystalluria (Stapleton, 1994). Hypercalciuria is generally defined by a urinary calcium excretion higher than 4 mg/kg/day or a random urine calcium/creatinine ratio higher than 0.2. Higher excretion rates are expected in infants and toddlers. Patients with documented hypercalciuria should undergo a renal ultrasound to rule out nephrocalcinosis or significant stone disease. The treatment is to increase fluid intake and restrict dietary sodium (<3 g/day) while maintaining the recommended daily allowance of calcium (Srivastava and Alon, 2005). 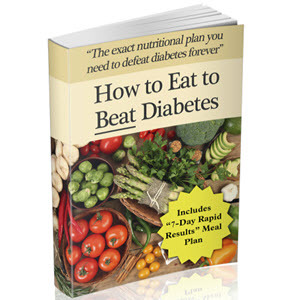 This dietary intervention may lower the urine calcium concentration and ultimately result in resolution of the hematuria. A thiazide diuretic should be considered if there is evidence of nephrocalcinosis or nephrolithiasis.